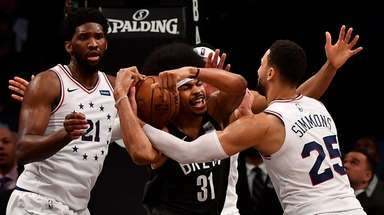 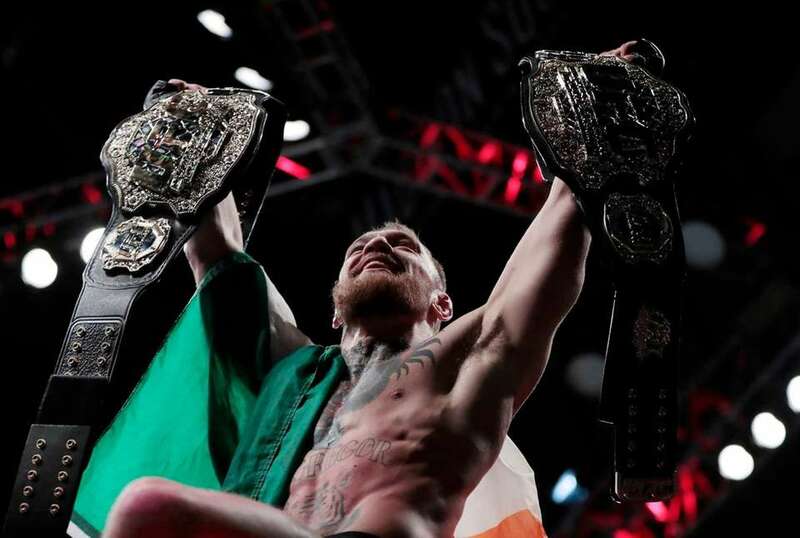 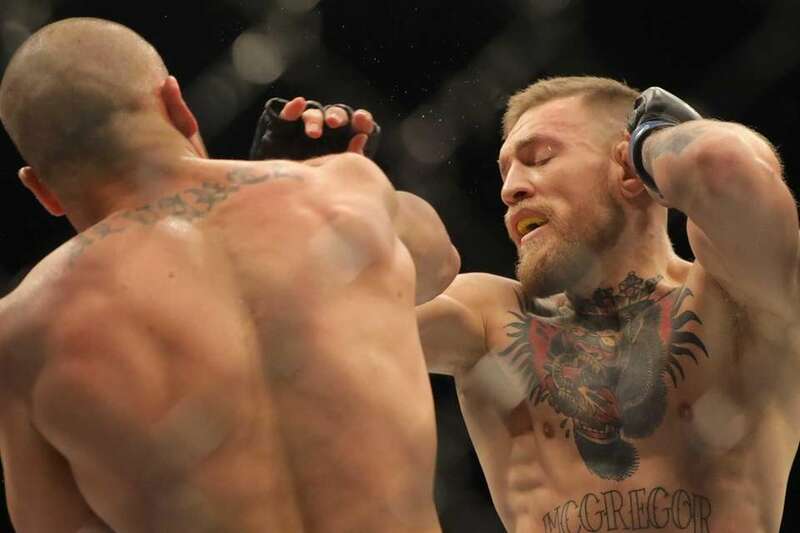 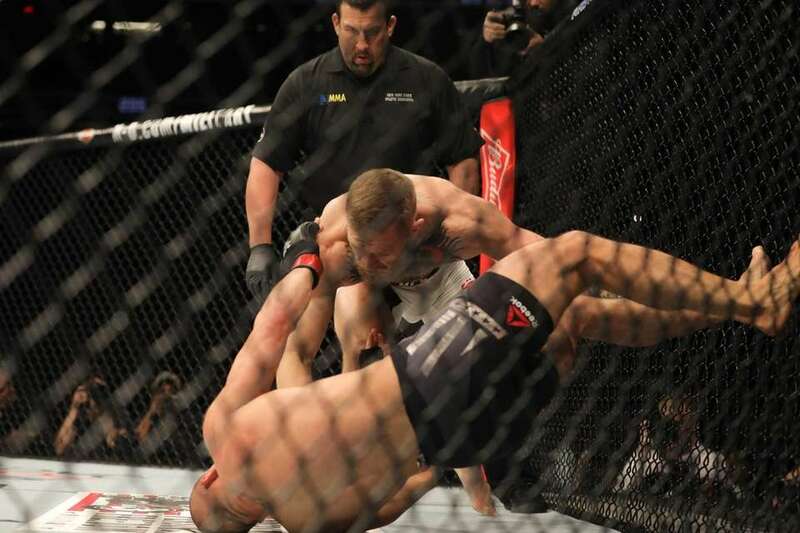 Conor McGregor became the first fight in UFC history to hold titles in two weight division after knocking out Eddie Alvarez to win the lightweight title in the headline event at UFC 205 on Saturday at Madison Square Garden. 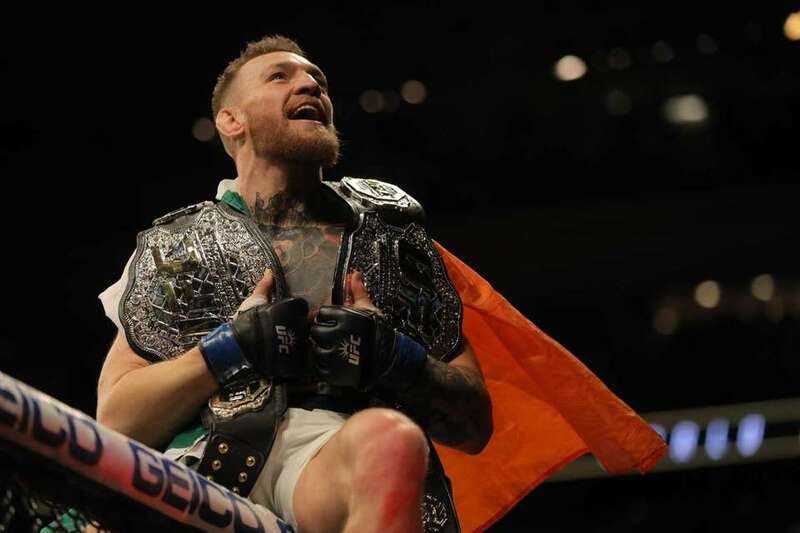 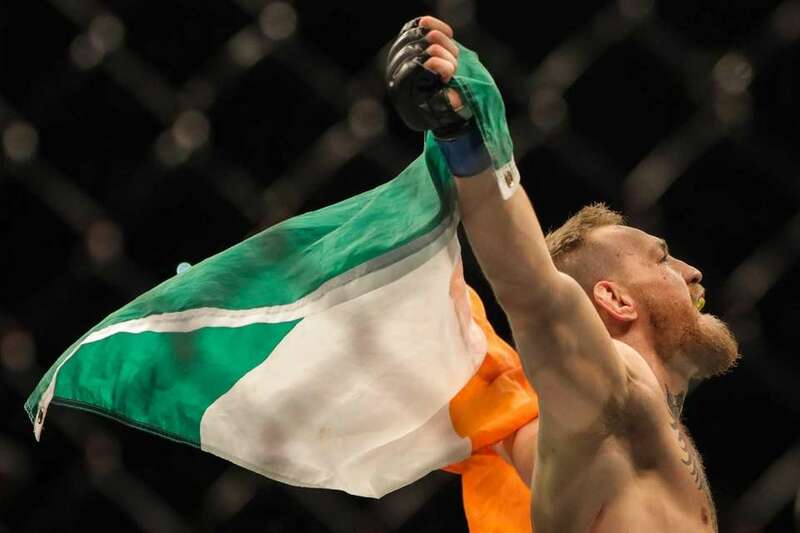 Conor McGregor now has two titles after beating Eddie Alvarez in the second round for the UFC lightweight title at UFC 205 at Madison Square Garden on Nov. 12, 2016. 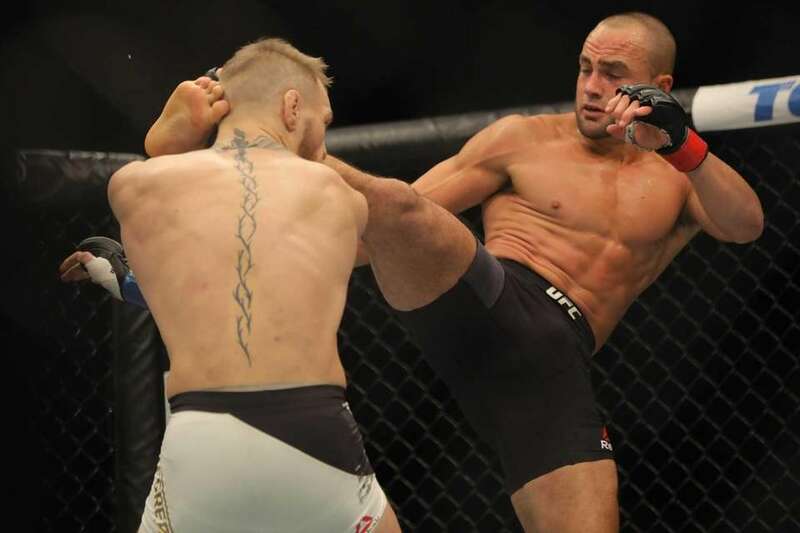 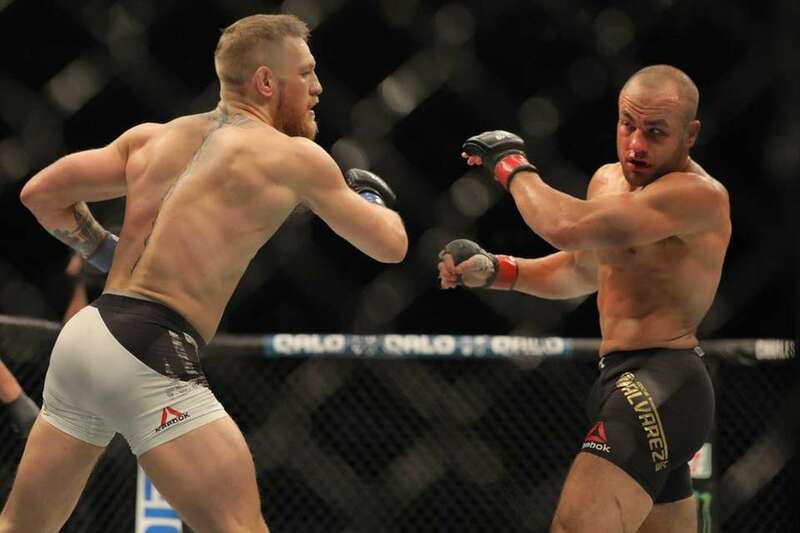 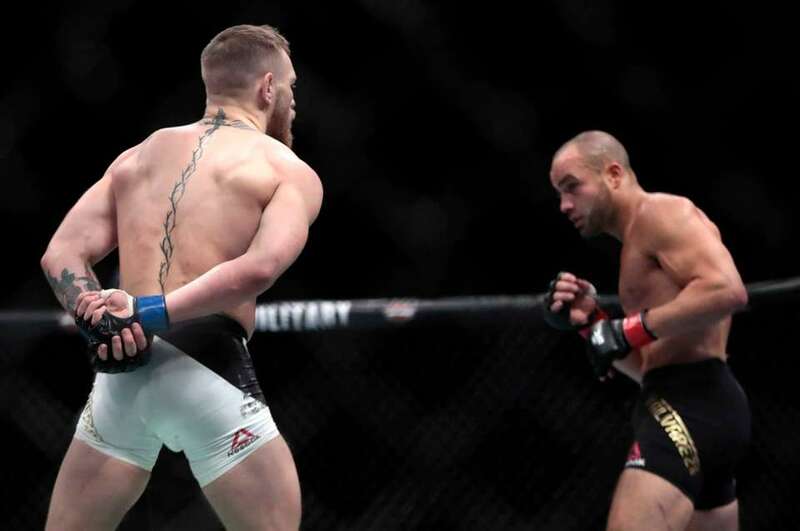 Conor McGregor, left, taunts Eddie Alvarez during a lightweight title mixed martial arts bout at UFC 205, early Sunday, Nov. 13, 2016, at Madison Square Garden. 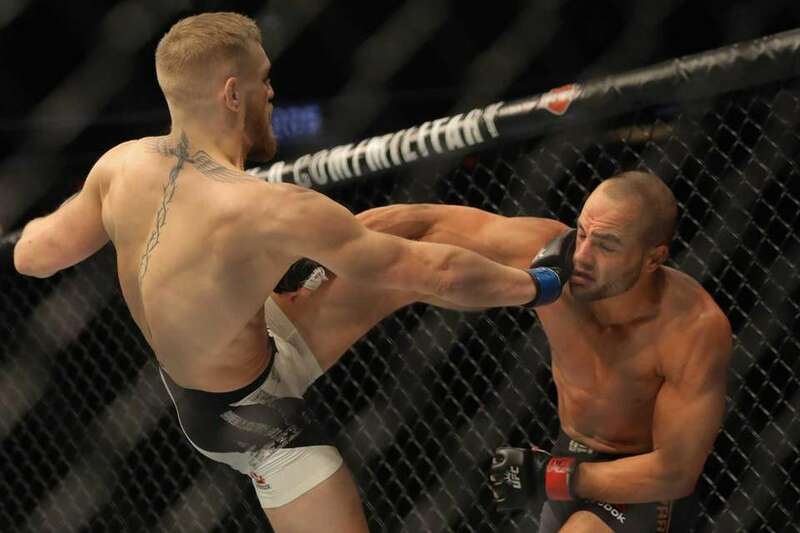 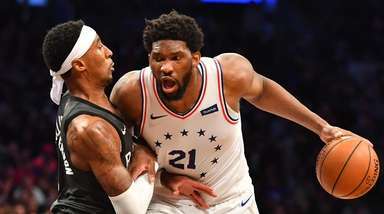 McGregor won the bout. 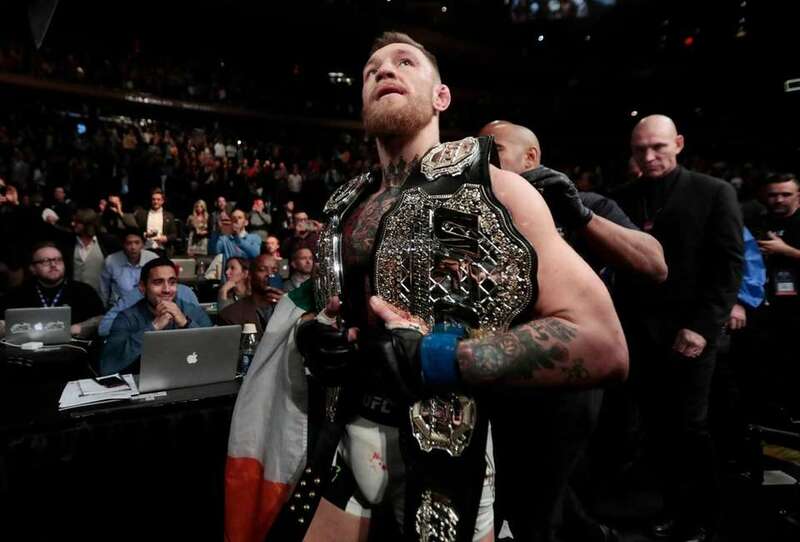 Conor McGregor leaves the octagon with his title belts after knocking out Eddie Alvarez during a lightweight mixed martial arts bout at UFC 205, early Sunday, Nov. 13, 2016, at Madison Square Garden. 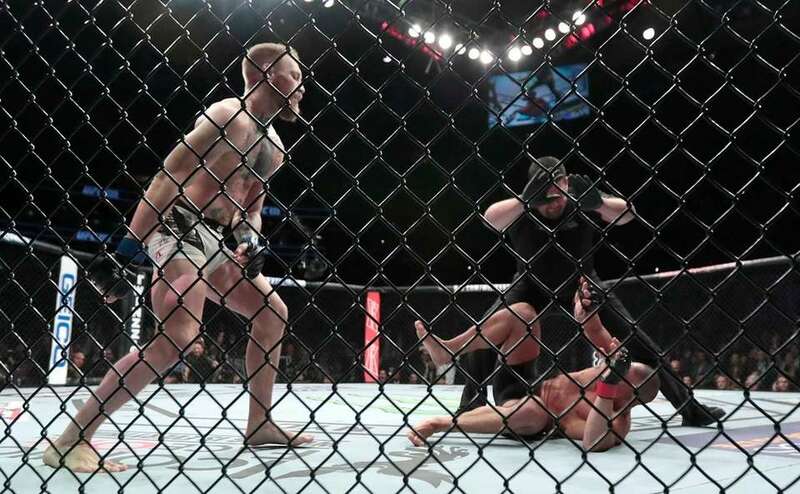 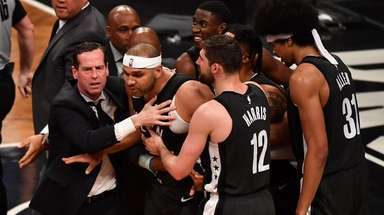 Conor McGregor, left, reacts after the referee stopped his lightweight title mixed martial arts bout against Eddie Alvarez, bottom right, at UFC 205, early Sunday, Nov. 13, 2016, at Madison Square Garden. 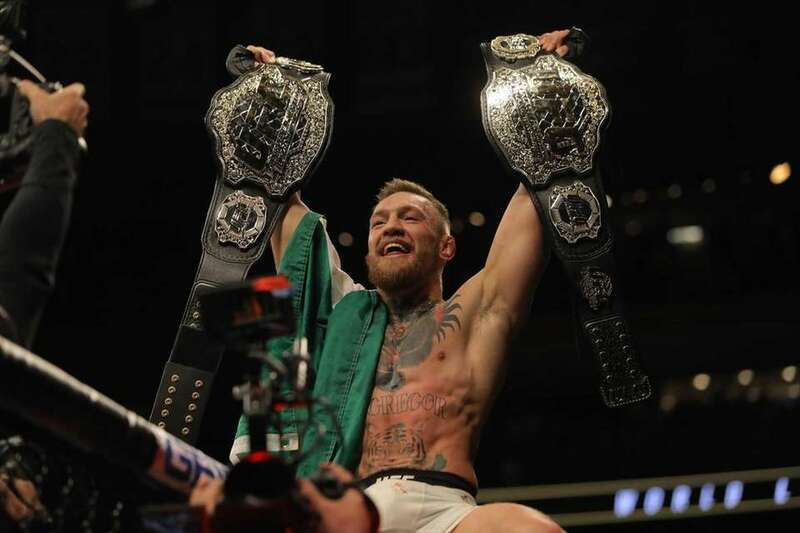 Conor McGregor holds up his title belts after he defeated Eddie Alvarez during a lightweight title mixed martial arts bout at UFC 205, early Sunday, Nov. 13, 2016, at Madison Square Garden. 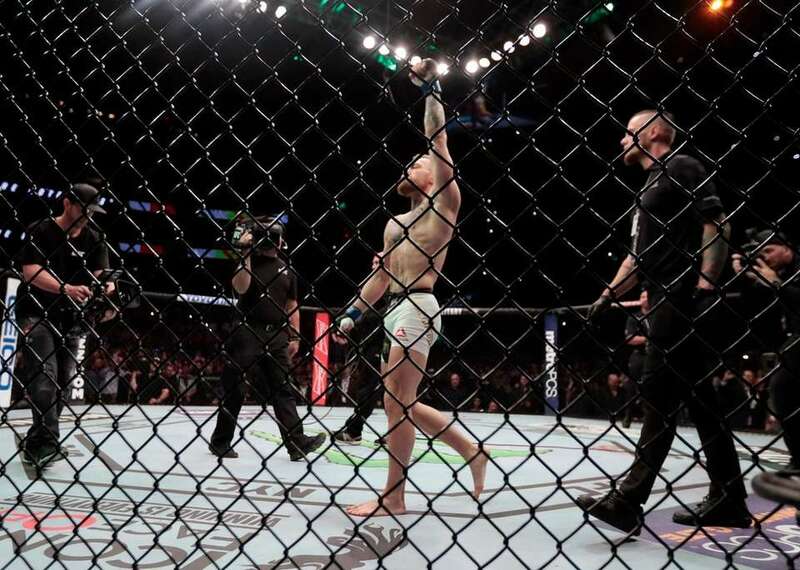 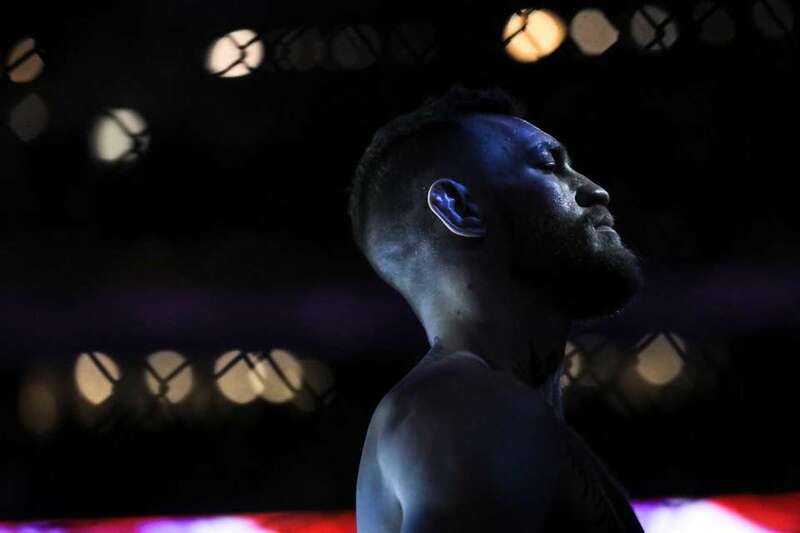 Conor McGregor enters the octagon before fighting Eddie Alvarez during a lightweight title mixed martial arts bout at UFC 205, early Sunday, Nov. 13, 2016, at Madison Square Garden. 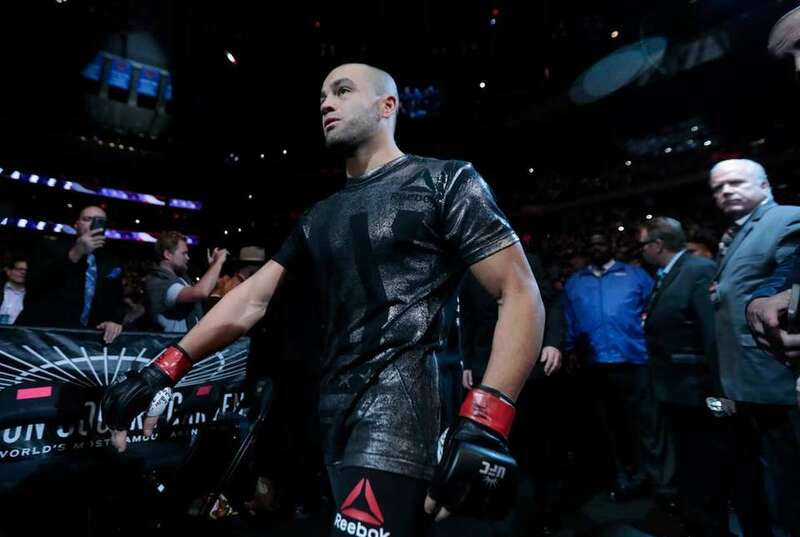 Eddie Alvarez arrives before fighting Conor McGregor during a lightweight title mixed martial arts bout at UFC 205, early Sunday, Nov. 13, 2016, at Madison Square Garden.